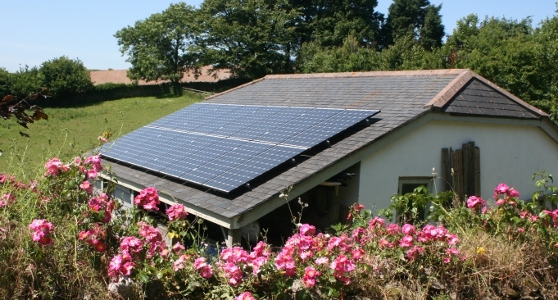 Solar Photovoltaic (PV) generates electricity that can be used in your property or exported to the grid. Sunlight is turned into electricity by the PV cells and an inverter converts it into AC electricity for your use with any unused excess fed to the grid. For example, in the morning you turn on the washing machine and have a light on in the kitchen, any electricity generated by the panels will directly feed those uses first and any excess will be fed to the grid. The amount of electricity generated will depend on the light level at the time, the direction of the panels and any shading at particular times of the day. Call us for a quote and the first thing we do is arrange to visit you on site, talk to you about what you need, do a survey and return to the office to put together the proposal we think will suit you. We work with a range of suppliers so will suggest the most appropriate panels and inverters for your job. We will work out how much you are likely to generate over a typical year and give you an estimate of financial return from the Feed-In Tariff. Department of Energy & Climate Change (DECC) set the rates for the Feed in Tariff.